A man was seriously injured when a car overturned Tuesday morning on Lake Shore Drive on the South Side. The car was headed northbound on Lake Shore about 6:20 a.m. when it overturned and landed on the median near 31st Street, according to Chicago Police. 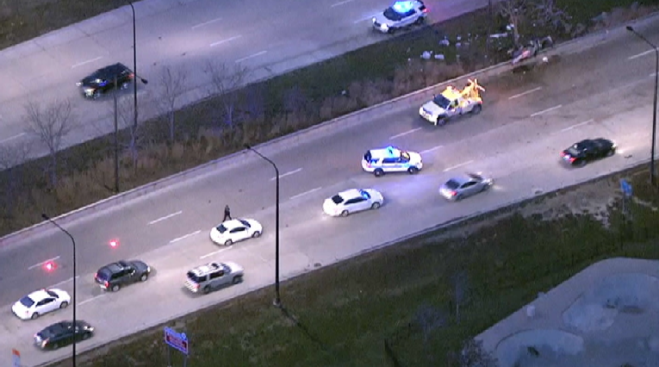 The car’s only occupant, a 30-year-old man, was taken to Northwestern Memorial Hospital in serious condition, according to police and the Chicago Fire Department. No other vehicles were involved in the crash and no other injuries were reported. One occupant of the car was taken to Northwestern Memorial Hospital, although the person’s age, gender and condition were not immediately known, police said.